Our Kids at Home: the challenge. looking through my pictures a bit tonight. and really had to laugh at this one. we just decided it wasn't what we wanted to do anymore. the kids feeling a little bummed. even though they know we just don't do halloween. to create a costume in 15 minutes. lauren was the only one who took us up on the challenge. i asked her, "what do we usually say on halloween?" 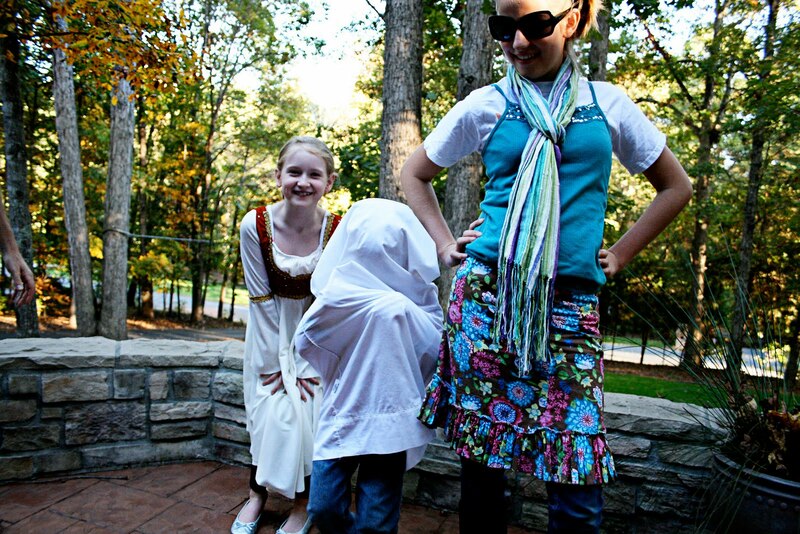 to which she answered, "trick or treat?" to which i promptly handed her 3 small bags of m&m's. try giving her little sister 3 small bags of m&m's. i have not seen megan move like that in years. all the while i'm thinking they just told me it wasn't about the candy. so, jack and jeff retreated to the upstairs to look for a costume for him as well. jeff: jack, what do you want to be? jeff: [putting white pillowcase over his head] will this work? megan and jack came downstairs to claim their prize. me: yes, and lauren showed initiative even when she thought it wasn't for candy. they definitely keep us on our toes. super cute! 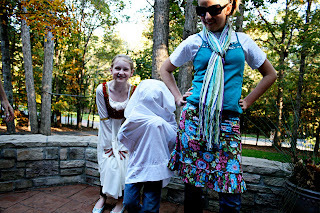 Will try to share our "fallfest" experience soon...Love the costumes! Love m&m's, love those kiddos and is that the JDRF walk shirt under the hippie chick costume? Love that girl!!! i love your cute creative family...you are forever giving me ideas as a mommy!